Over 50 million Americans suffer from tinnitus, an outwardly indiscernible ringing, hissing, buzzing, roaring, or clicking noise. The level of discomfort tinnitus can generate for its sufferers can range from mild to severe, with some tinnitus sufferers struggling with debilitating tinnitus. As the sounds generated by tinnitus cannot be heard by anyone but the person experiencing tinnitus, some medical professionals take it less seriously. With the general advice to “just learn to live with it” some tinnitus sufferers can become discouraged. At the Hearing Associates of Las Vegas, we understand the debilitating effects tinnitus can have on a person’s quality of life. We offer a wide variety of tinnitus treatment options and are dedicated to finding you the right solutions to alleviate your tinnitus. There are a variety of tinnitus treatment devices which our tinnitus experts have helped people use to find tinnitus relief. Which one will be the right one for you can be determined as you come into one of our offices for tinnitus assessment. A revolutionary tinnitus treatment system, the Levo System by Ototharmonics is an FDA-approved device which uses a neuroscience-based approach to treating tinnitus. This type of tinnitus treatment is best for those who do not also experience hearing loss with their tinnitus symptoms. When choosing to use the Levo System, a custom sound profile will be built for you by one of our tinnitus specialists in our office. Once we have matched the sound frequency and volume level of your tinnitus, the sound profile will be sent to your iOS-capable device. You will only need to use the Levo System at night with the custom earbuds designed to give you the most precise sound. Both our patients and those who participated in the Levo System clinical studies have experienced dramatic relief from using the Levo System. As tinnitus is often accompanied by hearing loss, the best hearing aid brands have begun incorporating tinnitus management tools into their hearing aids. A unique approach to tinnitus management is Widex Zen Therapy which has been proven to help people with tinnitus. Widex Zen Therapy combines a four-part strategy: sound stimulation, counseling, stress reduction and amplification. This multi-part plan works together to reduce the overall effects of your tinnitus. The primary focus of the Zen program is to help tinnitus sufferers relax and make tinnitus less noticeable. As stress can play a key role in triggering tinnitus, the emphasis on relaxing sounds has proven effective for many tinnitus sufferers. Based on what is known as fractal technology, the Zen program plays random, chime-like tones that can be used for relaxation and for making tinnitus less noticeable. We can adjust the Zen program according to your preferences regarding pitch, tempo, and volume. Oticon Opn hearing aids with Tinnitus SoundSupport help you take control of your tinnitus by playing a wide range of relieving sounds such as white noise and soothing ocean-like sounds. With Oticon Opn, you can discreetly control the sounds in your hearing aids using the Oticon ON app for iPhone and Android. You can adjust the sounds and volume in-app until they give the relief you need, wherever you find yourself needing it. You can also wirelessly stream alternative tinnitus relief options such as your favorite music, audiobooks, podcasts, or even relaxation guides. Anyone with tinnitus can benefit from the ReSound Relief app as part of a tinnitus management program. It offers a combination of sound therapy and relaxing exercises that aim to distract you from focusing on your tinnitus. Using the ReSound Relief app, you can manage what sounds play through your ReSound hearing aids, from the evening forest sounds to underwater sounds. There is also an educational aspect to the ReSound Relief app, with information on tinnitus, how the app works, and more. You can also use the guided relaxation program to maximize the stress relief techniques. Some Signia hearing aids are compatible with their tinnitus treatment called Notch Therapy. Two base sound profiles are present, static noise and ocean wave. Our tinnitus specialists will help you choose one of the five frequency options with the static noise sound profile or one of the four ocean wave sound frequencies available. 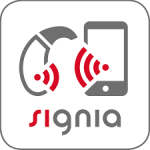 Along with the two base sound profiles, Signia also offers tinnitus Notch Therapy. This type of tinnitus treatment is soundless and operates unobtrusively as you wear your Signia hearing aids. There are three elements to the tinnitus management program offered by Phonak: Tinnitus Balance hearing aids, sound therapy app, and a broadband noise generator. With these tools, you can more effectively manage your tinnitus. 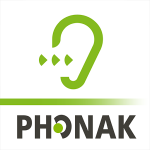 The app allows you to choose from default soothing sounds offered by Phonak or choose music from your mobile device’s library. It can all be easily streamed directly to the Tinnitus Balance hearing aids. You can also set a timer on the streaming sound so it will turn off as you drift off to sleep. Utilizing Sonic sound mixing called SoundDNA, Sonic hearing aids can come with SoundSupport. There is four broadband sounds offered: shaped (custom sound profile), white (flat spectrum sound), red (sound spectrum with decreases at -6 dB per octave), and pink (sound spectrum with decreases at -3 dB per octave). Ocean sounds are also available, with three different options. Neuromonics have developed three different tinnitus relief products, a company focused on offering top-tier tinnitus treatment. Rather than promoting itself as a tinnitus cure, Neuromonics is a management tool that works to develop new neural connections. These new connections allow the brain to help filter out the tinnitus perception while also breaking the negative limbic system attachment the body has to the tinnitus perception. Oasis – A two-step treatment program, the Oasis will be programmed by one of our tinnitus experts with a customized tone to help desensitize you to your tinnitus. You will need to wear your Oasis for at least two hours a day while performing daily activities. This amount of time will be reduced in the second stage of the Oasis program. Haven – For those interested in a tinnitus management tool rather than a long-term treatment program, the Haven can provide on-demand tinnitus relief. The sound profile will be programmed by one of our tinnitus specialists and can help you filter out your tinnitus if it begins to disrupt your life. Sanctuary – Similar to the Haven, the Sanctuary is also an on-demand tinnitus management tool. It is a little more straightforward, as users choose from one of three pre-fabricated sound profiles to help alleviate tinnitus symptoms. Enjoy the soft, soothing sounds of the Tranquil Tinnitus Sound Generators for tinnitus relief. There are four different styles to choose from, and they are shaped to resemble hearing aids. These devices produce a soft, soothing noise similar to the sound from a shower head, a fountain or gently falling rain. These sound therapy products are used for tinnitus relief and hyperacusis management programs. The noise helps reduce the perceived “loudness of tinnitus. With the loudness of tinnitus reduced, tinnitus becomes less annoying and more manageable. In hyperacusis treatment, the noise is used to “de-sensitize” the central auditory system. The device can be worn for all daily activity and may be worn while sleeping as well. The Inhibitor provides temporary relief for tinnitus in some patients. A one-minute screening will determine if The Inhibitor is right for you. The Inhibitor is a small, hand-held, rechargeable device, which provides tinnitus relief in 70% of patients that try it, with a one-minute application. The duration relief is temporary and can last from minutes to hours, to days. It is FDA 510(k) cleared and is available by prescription only through an approved health care provider. Treating your tinnitus can often be a multi-step process, and we often recommend a combination of tinnitus device usage and other, non-device tinnitus management options and tinnitus tips. What tinnitus is and how it affects people. How to manage your tinnitus and control symptoms. Learn what is typical with tinnitus and what signs are not. People with tinnitus can become easily agitated, frustrated, annoyed and depressed. These emotions can cause stress to build, which can directly cause their tinnitus symptoms to worsen. That’s why we’ve designed the first of its kind, the Tinnitus Relief Studio at our Las Vegas – Summerlin office. The studio features soft lighting and a comfortable massage chair. It’s here that we meet with our tinnitus patients and review tinnitus treatment options. Or if you are experiencing a bad tinnitus cycle, you can use this room to find some peace from the ringing in your ears. Sometimes further medical intervention may be necessary to help manage your tinnitus. Our tinnitus specialists will be able to determine if you require a referral after a comprehensive evaluation. If you are ready to take control of your tinnitus, contact us for an appointment today. We will help you find the right tinnitus treatment to fit your needs.